Nov. 14, 2017, 9:59 a.m.
By Nicholas Quah Nov. 14, 2017, 9:59 a.m. Illustration from Knight’s super-listener report. POSTED Nov. 14, 2017, 9:59 a.m.
Quah, Nicholas. "Who are podcast “super listeners,” what do they do, and how do we build podcasts for them?." Nieman Journalism Lab. Nieman Foundation for Journalism at Harvard, 14 Nov. 2017. Web. 20 Apr. 2019. Quah, Nicholas. "Who are podcast “super listeners,” what do they do, and how do we build podcasts for them?." Nieman Journalism Lab. Last modified November 14, 2017. 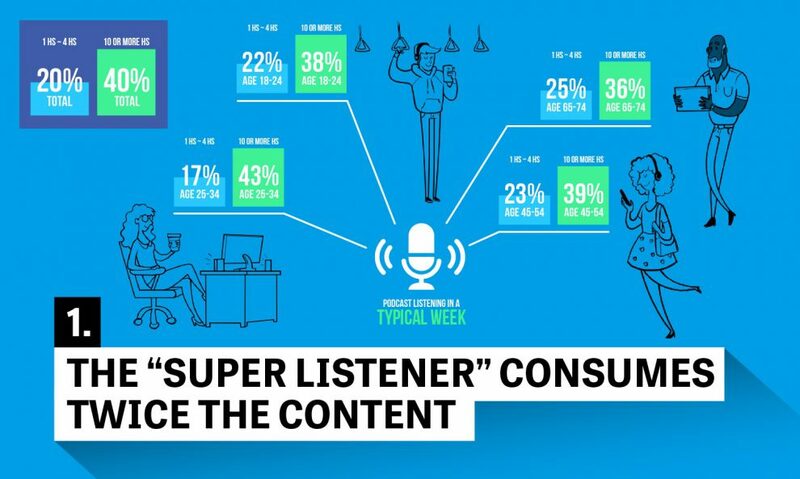 Accessed April 20, 2019. https://www.niemanlab.org/2017/11/who-are-podcast-super-listeners-what-do-they-do-and-how-do-we-build-podcasts-for-them/.